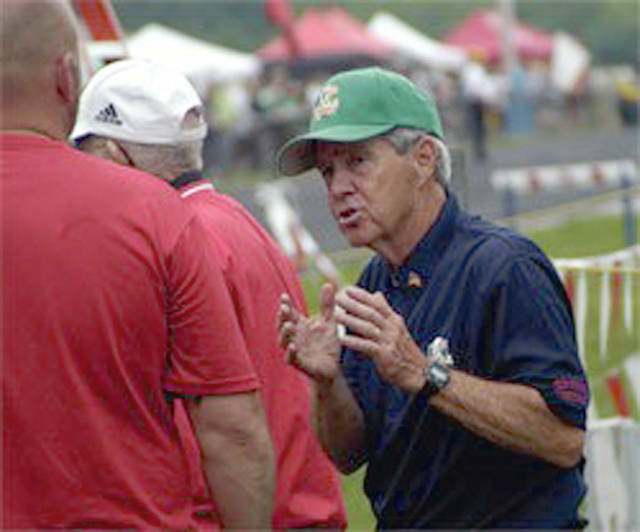 Provided photo Long-time Milton-Union Track and Field coach Kenneth A. Beard will be honored Saturday with the renaming of the track surface in his honor. WEST MILTON — A longtime Milton-Union track and field coach will be honored at an official ceremony Saturday for his contributions to the high school’s athletic department for the enjoyment of the sports-following community over the years. “The idea is to honor the incredible service that Kenny Beard, who is retired, has put into our facility and track and field program,” said Athletic Director Mark Lane. The ceremony will be held at 9 a.m. on Saturday, April 20, at the Bulldog Track Classic Invitational, Lane said. This ceremony for Coach Beard was only recently approved, according to Lane. “Our board of education adopted the name at our last board meeting. The name of our track complex is Lowry Track Complex, and we are naming the track surface itself the Kenneth A. Beard Track at Milton-Union Lowry Track and Field Complex,” Lane said. Lane said Beard was actually a big part the the track club’s inception at Milton-Union. “Kenneth A. Beard was a long-time track and field coach for Milton-Union. Kenny started the track club in the early 1980s, along with many community members and former athletes,” Lane said. “Kenny Beard has volunteered for numerous years for the track and field program outside of coaching as well. The Milton-Union School district is proud to honor him this way. Kenny started our track club and led the group to raise funds to have the all-weather track installed. “His leadership and service to this project have made an impact on hundreds of student athletes at Milton-Union,” Lane said. https://www.dailycall.com/wp-content/uploads/sites/30/2019/04/web1_beard.jpgProvided photo Long-time Milton-Union Track and Field coach Kenneth A. Beard will be honored Saturday with the renaming of the track surface in his honor.